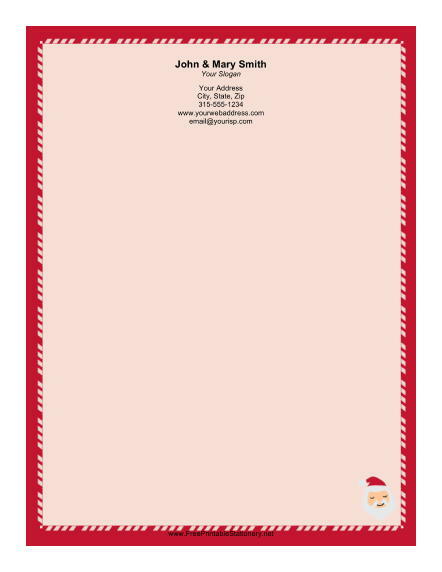 A cute Santa portrait decorates this Christmas stationery. Santa is surrounded by a border of red and white candy canes. The simple pink background is attractive, but still light enough for your words to shine brightly on the page.